Today is My “Someday”…Is it Yours Too? I’ve had a lot of fun these past three years hunting for vintage things to sell. It’s not everyone’s cup of tea, but for whatever reason at this time in my life, it is my cup of tea!! And the more I thought about it, the more I realized that today it my someday! So in six weeks I’ll be passing my job along to someone else and becoming my own boss!! (Cue my happy dance.) And I plan on being a firm, fun, flexible boss with a liberal coffee allowance! But enough about me … now on to the good stuff! Yesterday, after running some errands, I popped into my local Goodwill. (I try to go in at least twice a week.) I found this absolutely weird “beautiful ugly” ceramic thing that had just been put out the day before and I knew I had to buy it. I’m guessing it’s a Japanese ikebana vase. It’s signed by the maker, but I still hadn’t figured out who the artist was when I listed it in my store later in the day. 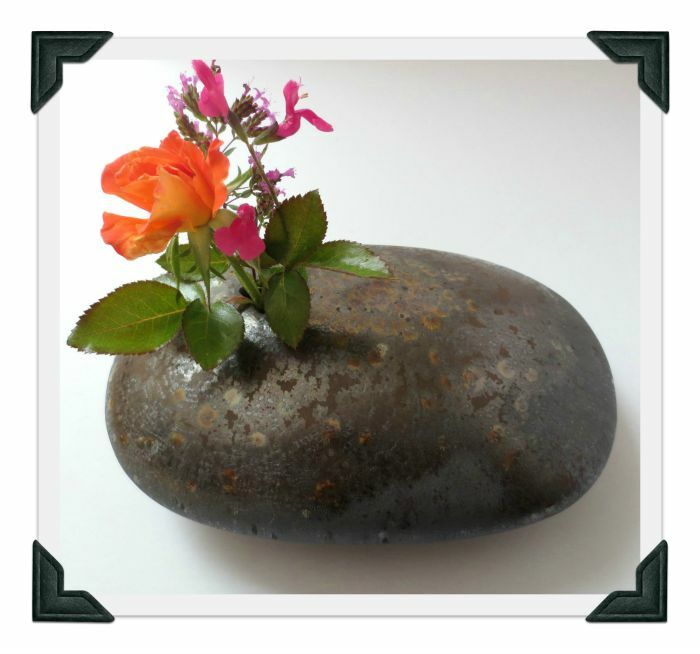 The flowers are not in the ikebana style, but it was the best I could do! Then the thing sold! In less than 8 hours! 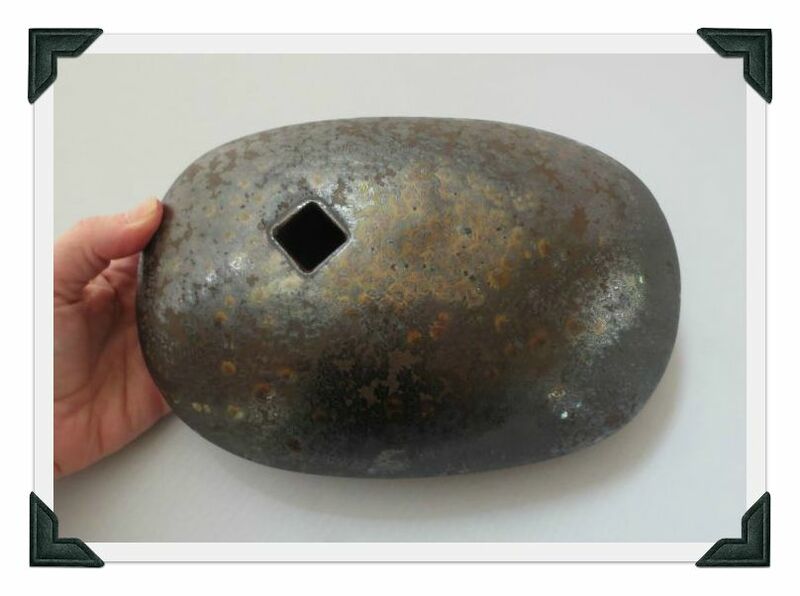 Oh jeez…was it made by some famous artist and really valuable??!! You could go crazy fretting about this stuff. But, never mind. I only paid $4.49 and it sold for $40. Still respectable. 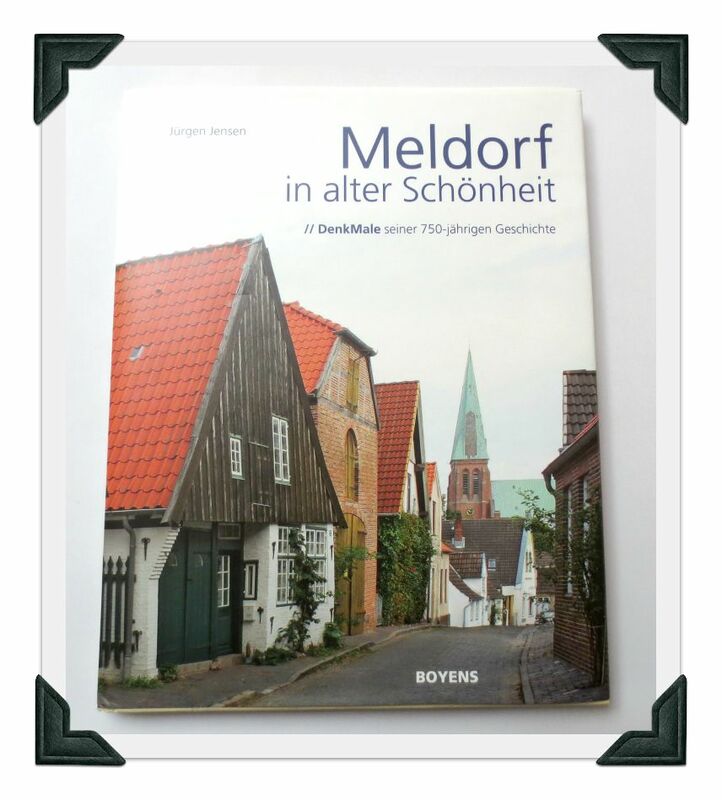 And I also bought a book entitled “Meldorf in alter Schonheit” (“Meldorf in Old Beauty”). I’ve noticed the book for a few weeks now and admired the photos. I tried to talk the store down from its $3.99 price, but had no luck. No frequent buyer discount! In the end I decided to buy it anyway since I can sell it for $15 – $30. And on eBay I’ve been buying some antique jewelry. 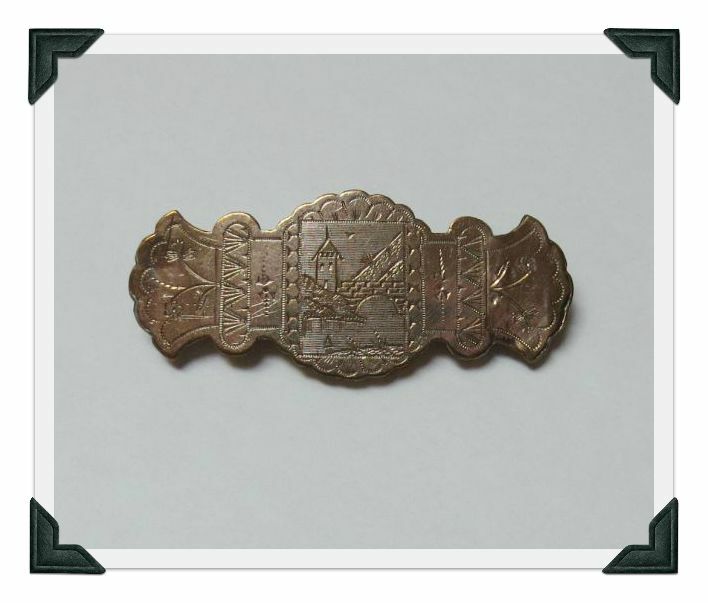 Here’s a gold-filled pin from 1877 (the patent date is on the underside) that I bought in a lot with other pins and the earrings below. Something about this is just so naively touching with it’s little tower and stone bridge. 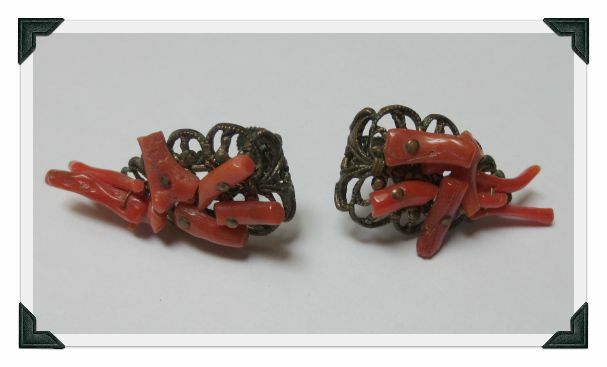 And these Victorian earrings are all fancy filigree and coral branches…a touch Downton Abbey, don’t you think? And I’m really glad today is my someday. How about you? Is today your someday? It’s a sign (finding the vase and it selling so quickly. 🙂 It was a good decision. And I think the minimalists are right – tomorrow is not guaranteed. Carpe diem! Good for you, Karen! You are a brave one, and I like that quality very much! I have been thinking along the same lines (my someday, not having an Etsy store), so we’ll see! I hear you…I finally said, “Today is my someday!” 4 years ago, and I have never been happier. The only stress is the stress I put on myself, and I’ve had a serious discussion with myself about that. Our children are grown, we are at a good place in our life, and now I get to do all the crafty, quilty, cooking, gardening things that I chose not to make time for when we were raising our family.